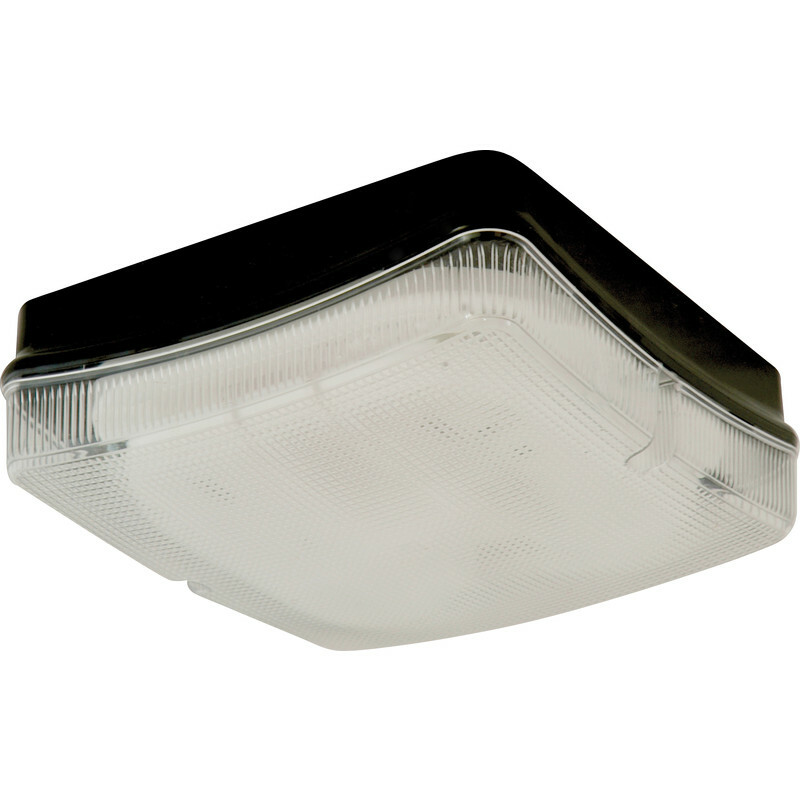 Vandal resistant, energy efficient and UV stabilized IP65 polycarbonate bulkhead luminaire. Fern Howard Trojan Square HF 28W 2D IP65 Bulkhead Black Clear is rated 5.0 out of 5 by 6. Rated 5 out of 5 by 23062016 from Bright Absolutely without doubt , a great versatile safe light to buy ! It looks fantastic inside or outside any building. It’s compact and brilliant value too. Well done Toolstation. Rated 5 out of 5 by S2DIY from Bulkhead fitting First class product delivered within 15 hrs. What more could one ask?